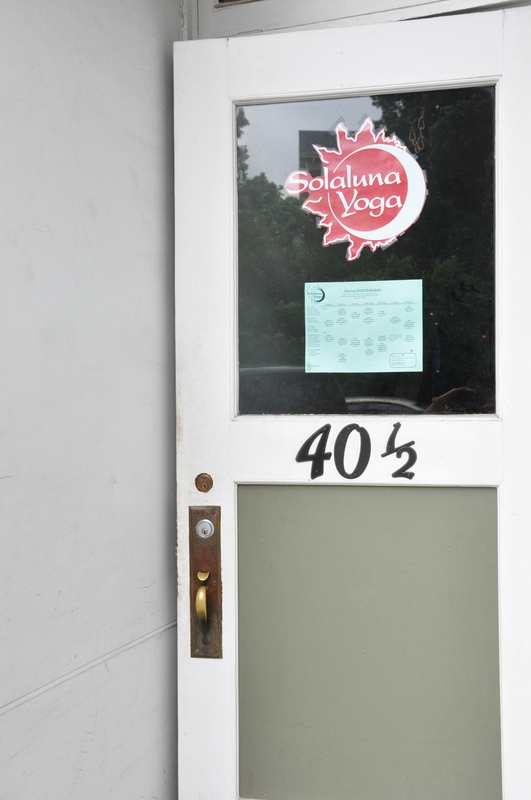 Solaluna Yoga is one of the largest and longest operating studios in Northeast Ohio, providing a supportive environment for people who desire to integrate healthy and holistic practices into their lives. Our biggest inspiration arises from creating and offering a space where people can find greater wellbeing. We appreciate the opportunity to work with our community in this way, and have enormous gratitude for everyone who has supported Solaluna over the years. Our dedicated instructors bring a range of specialized skills to their teaching, including massage and bodywork, physical therapy, pregnancy, and women’s health. We are open seven days a week and offer classes from beginner to advanced levels. We also provide individual support, intensive programs designed for deeper learning, special workshops, and classes for specific populations, such as expecting mothers. We are the home of Simple Yoga, a form that is an accessible, innovative method to help people find freedom in their bodies and wholeness in their lives. Simple Yoga emphasizes coordination as a foundation for developing strength, flexibility, and overall integrity in the practice. At the beginning of September, 1999 I had a dilemma: after teaching yoga for several years in meeting rooms, Sunday school classrooms and other venues not designed for the practice, attendance was growing. I wanted to add classes but the primary space that my fellow teacher Maureen and I were renting could not accommodate more. Lugging mats, blocks and blankets all over the place was also getting old fast. I’d been looking for other options for a year, especially with the hope of finding a location that could serve as a dedicated studio. There was even a name for the new business flitting, latent somewhere in my mind: Solaluna. One place in particular held my imagination but every time I checked, it was occupied. I’d known of it for years. Over the decades it had served as an illustrator\’s studio, a space for Sunday services for a small religious fellowship, a business school, dance studio, and Grange Hall. It had my attention because it was in a beautiful, old building, had high ceilings and large windows– a perfect atmosphere for yoga. I had called the landlord four months before and the illustrator was still the occupant. The Friday before Labor Day, at a loss and on a whim I climbed the fire escape to peer in one of the big windows. To my surprise and disbelief, I saw that it was empty. A call to the landlord confirmed that it was available and the rest, as they say, is history. Even before I found the spot, I knew I did not want to start a studio on my own, so I asked my friend Michelle and my brother Jeffrey if they’d like to help and they became my first business partners. The space was dingy and worn. We spent three months sanding and finishing the floor, fixing the walls, and painting. We had the help of many friends, and could not have completed the job without a big jolt of help from my brother Michael. All the work seemed like an eternity at the time, which is ironic, seeing as I’ve spent more than a decade now working on my house. A glowing, newly finished studio opened to the public on December 7, 1999. Maureen and I moved our students to the new space. Maureen continued to offer instruction to the Solaluna community until she moved to Florida in 2010. While a core of classes has remained relatively constant over the years, other things have changed. Jeffrey’s death in December 2002 has been the most significant and wrenching change in the fabric of the studio. 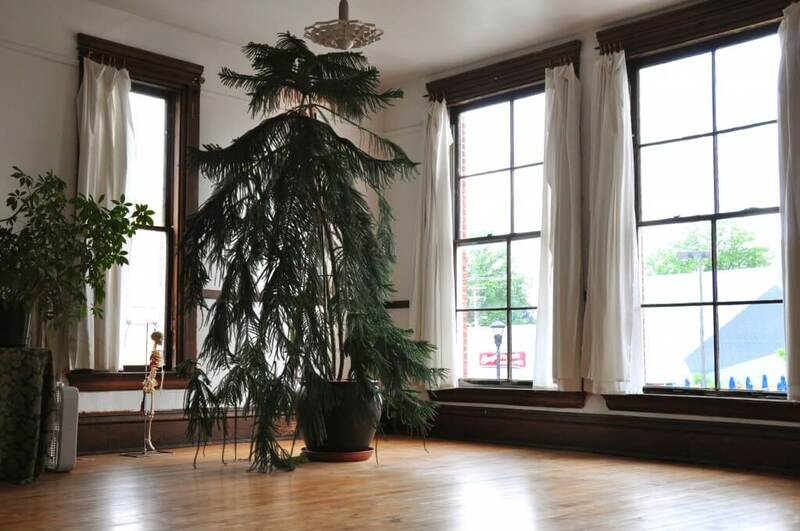 The large and graceful Norfolk Pine that sits in the space commemorates his life; his profound influence on many lives. Much of Jeffrey is woven into Solaluna. Our other original partner Michelle went back to school and eventually moved to Pittsburgh, where she is a Licensed Social Worker. She’s doing well there with her partner Geof and their son Owen. After Michelle left in 2004, Lori Larson served as a partner for two years. Then from 2007 to 2011, Renee Steinbrenner offered her presence as a partner. Presently, there is a trio of partners comprised of myself, Chelsea Doohan, and Nikki Rogers—two long-time teachers here. We look forward to growing the studio into the future. Hatha Yoga is a particular path (marga) of yoga distinguished by the use of body-centered practices as a means of integration. It is the most common type of yoga practiced in the US. Ashtanga, Iyengar, Bikram, Anusara and most other familiar styles of yoga are variants of it. The literal meaning of hatha is will or force (there are different ways that one could interpret this. Rather than hatha being a willful practice, it is more a matter of understanding how much will or force any situation requires). Hatha also has an esoteric meaning: ha corresponds to the sun, tha to the moon. The fusion of these two metaphorically opposite qualities represents the state of yoga-union, an integrated state of seeing things-as-they-are, a state of fundamental, abiding awareness. When I was casting about for a name I liked the sun/moon image, but there were several Sun-Moon yoga studios already. So I turned to Latin and its Romance language descendants. Sol-luna did not quite flow, nor did ‘el sol-la-luna’. Sol-la-luna, elided to Solaluna seemed just right. 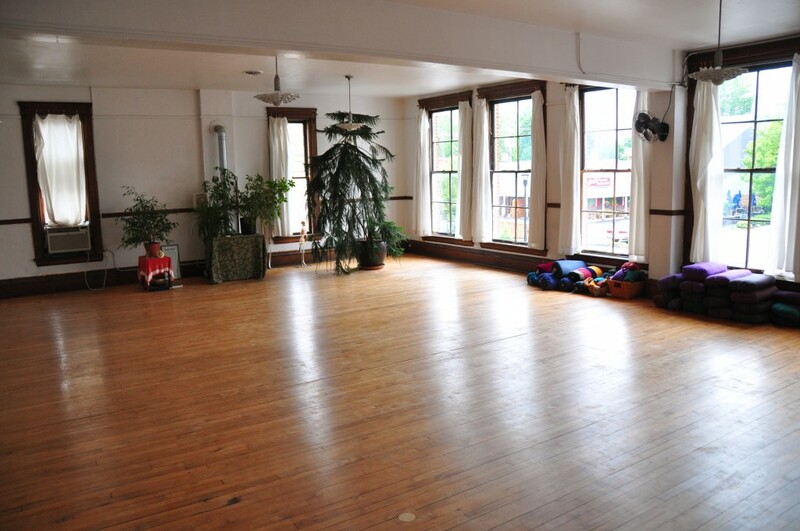 Someone being picky could find another meaning, such as “only moon” (sola luna), but really it has come to have its own meaning: a treasured space for yoga in Oberlin, Ohio. 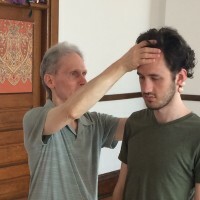 Jeffrey began to practice yoga in the early 1970’s, a time when many people were changing how they looked at the world, especially with respect to diet and health. Yoga was a natural part of this. His yoga was largely self-directed. He studied with a teacher in the beginning but sustained the practice himself over many years. Jeffrey also danced professionally with the Ohio Ballet and companies in New York City. His daily practice was by all accounts essential to him, connected to his dance career, connected to his great love of golf, and fundamentally connected to how he lived. His life was rich and varied, and included skilled work as a carpenter, plumber and craftsman, Peace Corps Volunteer (Botswana), natural food store manager and yoga studio owner/teacher. His last decade was complicated by the challenges of a rare and tenacious disease. Jeffrey’s approach to this was inseparable from his practice. Yoga improved his quality of life; it likely extended his life. 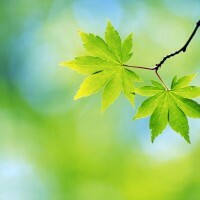 More than that, it gave him calm and presence in the midst of great hardship. He died in 2002, following surgery. He was buried in West Virginia, in the woods, on the farm where he spent his childhood. His humor, generosity and grace are remembered and treasured; they resonate in the space and life of the studio.